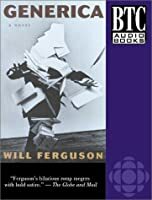 In this audiobook of his satirical, fast-paced novel, Will Ferguson skewers society's obsession with self-improvement. Generica is the story of Edwin de Valu, a beleaguered junior editor at Panderic Press. In desperate need of a new self-help author, Panderic decides to publish a rambling 1000-page manuscript by an obscure author named Tupak Soirée. What I Learned on the Mountain is different from any self-help book before it in one respect  it works! The book quickly becomes the best selling book ever. Suddenly, everyone CAN be happy, CAN lose weight and stop smoking, and CAN get rich quick. Edwin fears that the bliss he has unleashed on the world may indeed be a curse. 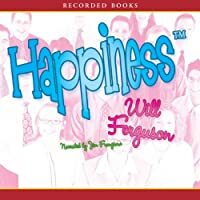 One by one his friends and family take up the cult of Happiness (a word now trademarked by Panderic Press). Soon Edwin begins to see that any system of blind acceptance is ultimately destructive. He realizes that he is the unlikely champion that fate has chosen to fight the menace of Happiness.